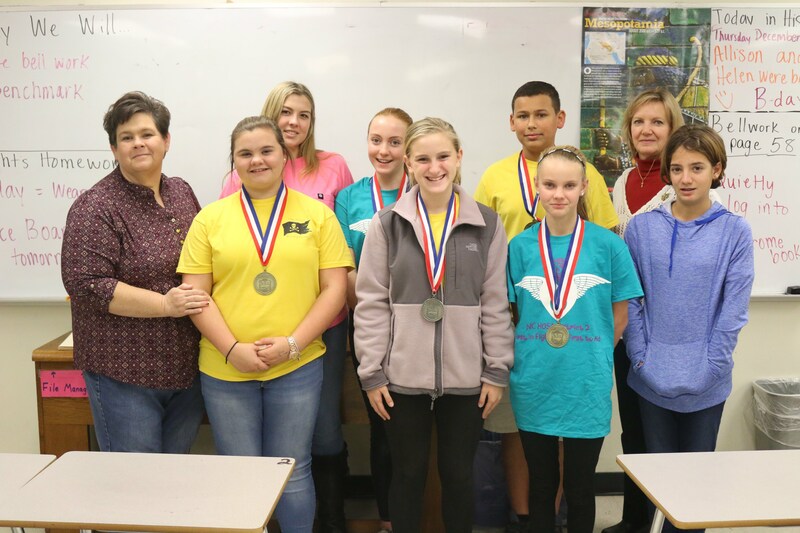 Topsail Middle School’s Health Occupations Students of America (HOSA) club competed in its first regional competition Nov. 19 at Mount Olive University. 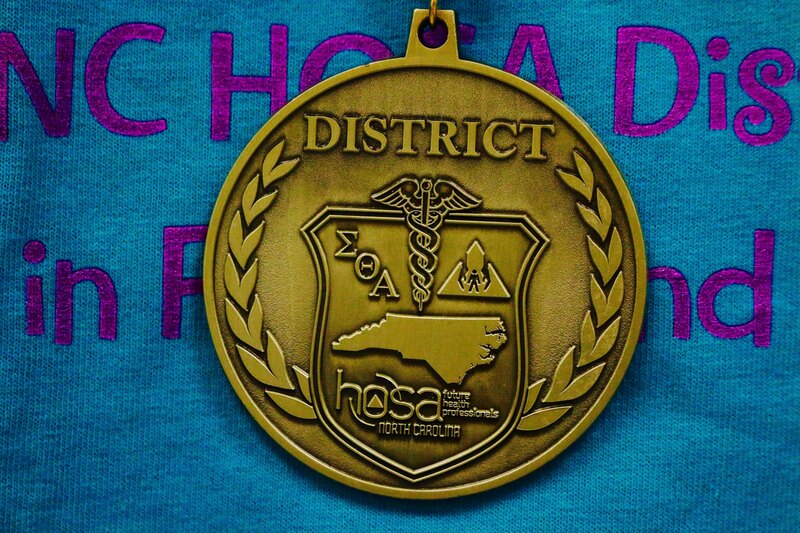 The club, which started in 2013, was the first middle school HOSA chapter in North Carolina. This is the first year the chapter will compete at the regional, state, and international competitions. Audrey Everett- 1st place, Healthy Living. Seventh grade student Audrey Everett said the competition was nerve-wracking at first, but practicing and being prepared helped calm those nerves. Everett said she’s interested in a career in the medical field, and feels HOSA will help her choose an area of focus. Kiley Wells competed in the middle school international HOSA competition last year as a sixth grader, placing in the top 10 for Prepared Speech. She said competing in the regional competition was a great experience. Kiley’s mother, Miranda Wells, who teaches at Topsail High School and serves as the chapter’s HOSA Advisor, said having a middle school chapter has increased participation at the high school level. The HOSA club will begin fundraising for the state and international competitions soon. For more information about HOSA at Topsail Middle, email anita_kandabarow@pender.k12.nc.us.